Putra Mosque next to Putra Perdana building. 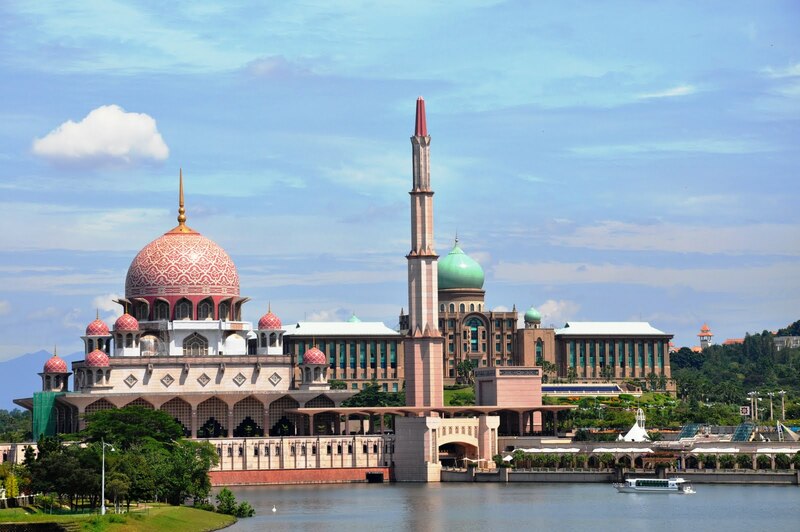 There are two main buildings at Putrajaya that will be easily catches ones glimpse once they arrive there for the first time. Besides there are many others beautiful buildings these two will be the main attractions for its location. The first building is Putra Perdana and the second is Putra Mosque. Here we are going to see more about Putra Mosque, one of the most visited buildings in Putrajaya. Even though built in contrast to Putra Perdana these two building seems to be a perfect match to be built side by side. 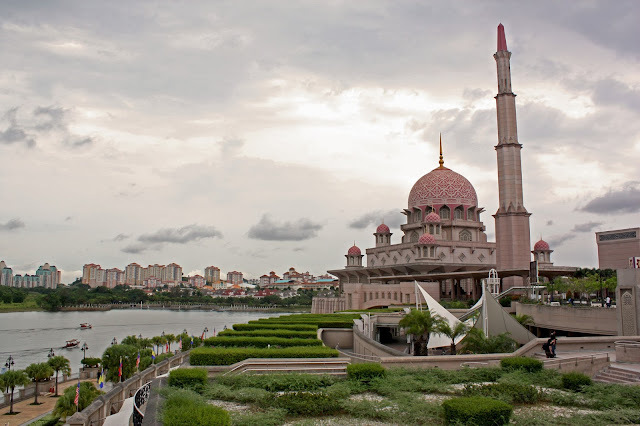 Located in by the edge of Putrajaya Lake it can easily be seen by most part of Putrajaya. Close up view of Putra Mosque. The interior is simple yet elegant. 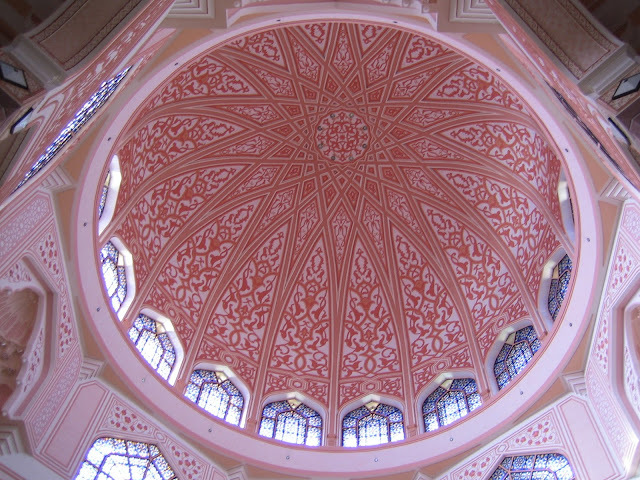 The interior of the dome. 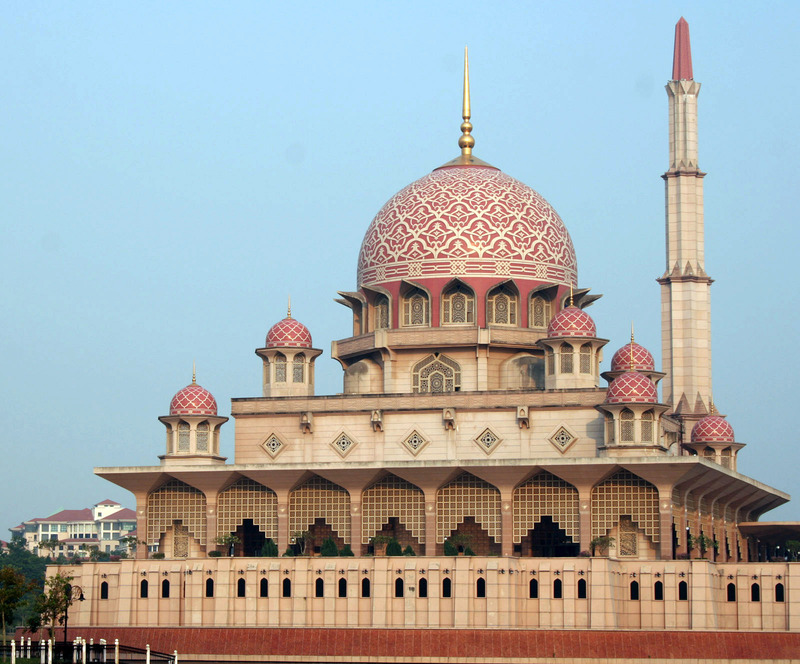 The Putra Mosque has unique artistic architecture with pink rose tinted granite that’s totally different from most of the mosques built in Malaysia. Anyway some features make it blend in perfectly to bring in local’s architectures emerge in the first sight. 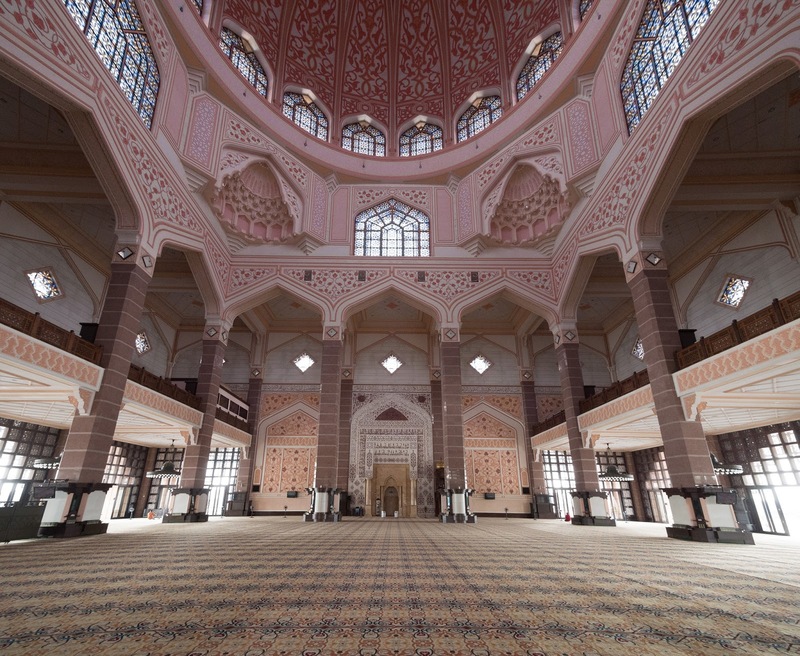 This unique mosque designed resembles few other popular mosques such as King Hassan Mosque in Casablanca, Morocco. The mosque can accommodate 15,000 worshippers at any one time. It also consists of three main functional areas the prayer hall, the Sahn, or courtyard, and various learning facilities and function rooms. The interior (prayer hall) is simple and elegant suitable for all worshiper to perform their prayer in comfort. This majestic designs supported by 12 columns with the highest point below the dome is 250 feet above the ground level. Putra Mosque during the sunset. One of the iconic building in Putrajaya. 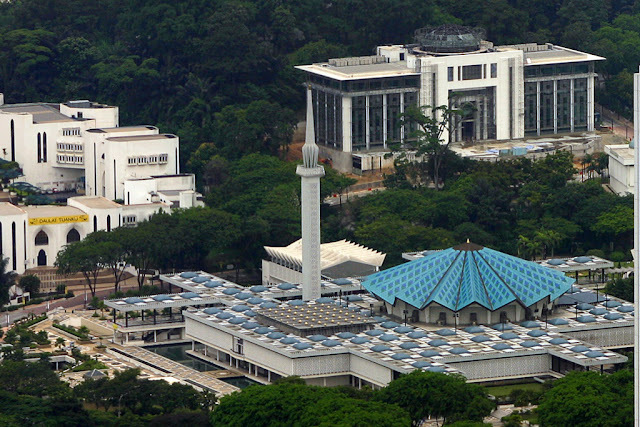 The construction of the mosque completes on 1 September 1999 with cost of around RM250 millions. It is named after the first Prime Minister of Malaysia, Tunku Abdul Rahman Putra Al Haj. Putra Mosque becomes one of the mosque unique mosques in Malaysia by combining the Middle Eastern and traditional Malay design elements. 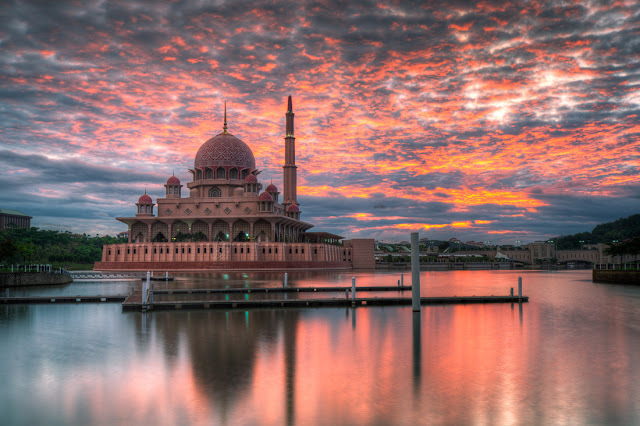 Putra Mosques become one of the most popular attractions in Putrajaya for locals and tourist. Non-Muslims also permitted to visit outside of prayer times without any admission charge. Robes are provided for visitors and they are requires to follow the rules when visiting the mosque. Next to the mosque are Putra Square, food courts by the lakeside and the Putrajaya Lake Cruise that added visitors’ experiences when they visit this mosque. This will be the opener to any visitor to Putrajaya before they are ready to explore to any other part of this area. Terima kasih, saya follow kembali.